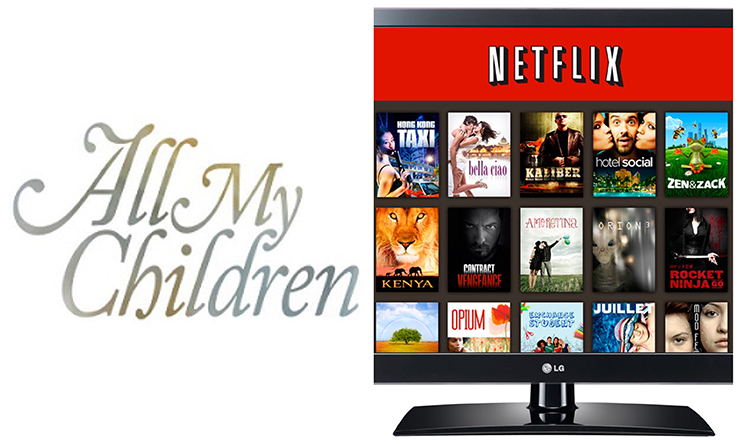 Could All My Children Be Headed to Netflix? Could “All My Children” be back on our screens in a very unexpected way. An “All My Children” fan fave posted to Instagram about a rumor that made us jump for joy, even at the possibility. Eva LaRue (Maria Santos) took to Instagram with a message that gave fans of the in-limbo ABC sudser hope. Scroll down to see her online message. There was a AMC mini-reunion on Hallmark’s Home and Family talk show, which aired for viewers this past Thursday. At the taping for that episode rumors of a Netflix reboot of “All My Children” (AMC) made the rounds among the actors in attendance. “The rumblings circulated at the AMC reunion last week on Hallmark Channel’s “Home and Family,” reported Jamey Giddens of Daytime Confidential. Can We Allow Ourselves to Believe It? As “All My Children” (AMC) fans know well, fool me once, shame on you, fool me twice, shame on me. Not that we’re blaming anyone, but we were looking forward to a lifetime together with our AMC family when the canceled ABC sudser was rebooted by Prospect Park (PP). Then the lawsuit between ABC and PP led to the cancelation–again–of AMC. So let’s hope not only that this rumor is true, but that it lasts! Well it was working on Hulu – until the lawsuit. So why not on Netflix? I paid for Hulu specifically because of AMC & OLTL. I’ll do the same if Netflix puts it back on.